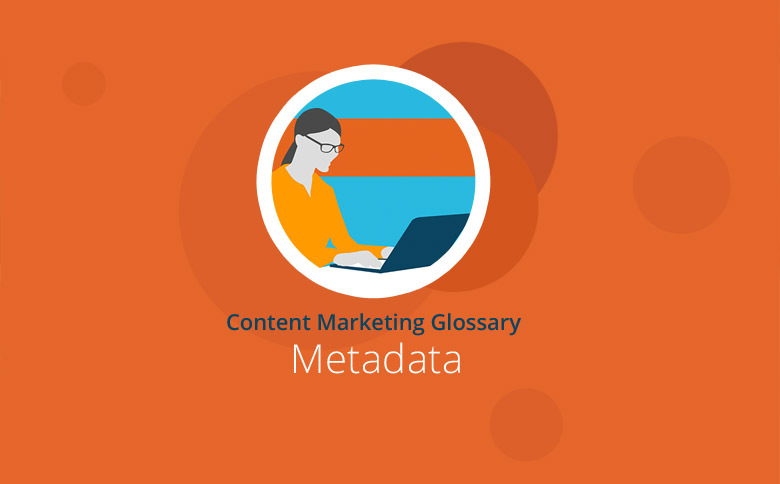 Metadata provides a search engine with information about the content of a website. Meta tags (or meta elements) are used in metadata descriptions. For example, the previews Google and other search engines display in their search results pages (SERPs) are influenced by the way the metadata is completed. The metadata in each SERP snippet consists of a title (known as the title tag) and a descriptive text (the meta description). Meta tags give a search engine’s web crawler information and instructions relating to a website. There are a variety of meta tags website operators can use to provide search engines with this information. The optimal structuring of metadata is an important aspect of search engine optimization (SEO). The Title tag shows the search engine what the page contains, and a search engine will generally use that title for the heading of the search result listing in the SERPs. The terms title tag and meta title are used synonymously. The Meta Description is a short text description of the website, usually displayed in the SERP snippets as a page preview. Other meta tags are also employed to provide search engine information, but these are not usually visible to the user. The robots meta tag is used to specify which information search engines should, or should not, consider. For example, the instruction rel=”nofollow” tells the bot not to follow links from that page. Another meta tag is the hreflang tag. This enables Google to see that there are several languages or country versions (perhaps two English versions, one for the US and one for the UK). The Title and Meta Description are important metadata elements because they form the preview text a search engine displays in its search results pages. Their purpose is to differentiate a website from others in the search listings and to encourage the user to click. The title appears within the SERP snippets and is displayed in blue text as a search result heading. The meta description appears in grey beneath the page title and its URL. The structure of the Title and Meta Description will influence the click-through rate (how many users click on the link in the SERP snippet). According to a study by SEMrush, duplicate or missing meta descriptions are among the most common website errors. This type of meta description problem can have a negative impact on rankings in Google and other search engines. Therefore, to avoid such issues with metadata, it makes sense to ask those who write the website text to also complete the title and meta description. The title is displayed as a heading in the individual search results, and Google uses this title to identify the page topic and to check how relevant it is to any particular search query. Because Google uses the title to determine the page content, it also represents an important ranking factor. In addition, the title influences user click-through rates from the search results pages. The title should not be wider than 512 pixels, which generally means it should not exceed 70 characters including spaces. For mobile viewing, the title must be less than 70 characters. The title should be as short and concise as possible. The title should contain your most important keyword because Google uses this information to determine the respective page content. The title should be as meaningful as possible. The most important information should be at the front. The title should make the user curious. This description helps the user to decide whether a page contains what he is seeking. If the Meta Description is missing or Google considers it unsuitable or poorly written, Google will automatically select an alternative description from elsewhere in the website text. Therefore, website owners should use a meaningful description to attract users to their website. To avoid being abruptly cut off, the Meta-Description should not be too long. Furthermore, Google also takes the number of characters and the pixel width into account. Generally speaking, the description should be less than 175 characters, including spaces (920 pixels wide). The description should be meaningful, interesting and relevant. The most important keyword should be as close as possible to the beginning. The Meta Description should both attract the attention of the user and make him curious. The description should answer the user’s search query. Depending on your page function, a call-to-action may be placed at the end of a meta-description. To differentiate your content from other search results, certain icons such as check marks, hearts, etc. can be placed in the Meta Description. And most importantly, the associated landing page must deliver what it promises because Google will interpret user signals such as the bounce rates and use them to improve the accuracy of its rankings. Google displays keywords in the title and description in bold type. Therefore, it is important that your metadata should answer the user’s search query. It makes sense to optimize your metadata according to whether the user is looking for information (an informational search) or has a specific purchase intent (a transactional search). For example, an informational search should deliver part of the answer in the metadata. However, an online shop may find it useful to include a call-to-action in the description. The Sistrix SERP snippet generator shows how a website Title and Meta Description would appear to a user. Metadata informs search engines about what the user can expect from a page. Thus, businesses should maintain and optimize their metadata to differentiate themselves from other search results and increase their click-through rates. For example, the meta tags Title and Meta Description should be individually completed for every page and carefully aligned with the user’s search query. In addition, the Title and Description should also be as brief and concise as possible. The title and the meta description should contain the most important keywords as they provide information about the page contents. Depending on what the user is actually looking for, the metadata should be optimized by using keywords for an informational search or a transactional search. The influence of metadata on search engine rankings remains a controversial issue. According to Matt Cutts, Google’s former Head of Web Spam, there is little value in continuing to structure metadata because Google no longer uses it for ranking purposes. On the other hand, certain meta tags – such as the title used as the main heading for a website, for example – are clearly still important. And the description at least still has a decisive influence on click-through rates.